Until the end of time Daniel Cormier and Jon Jones will always be connected at the hip. Do we want to see DC vs. Bones part three? Not sure, but if they are going to build to a third fight then we have to see it. Fresh of Bones Jones being released back into the wild, these two can’t help but talk smack to one another. Who’s in who’s head? 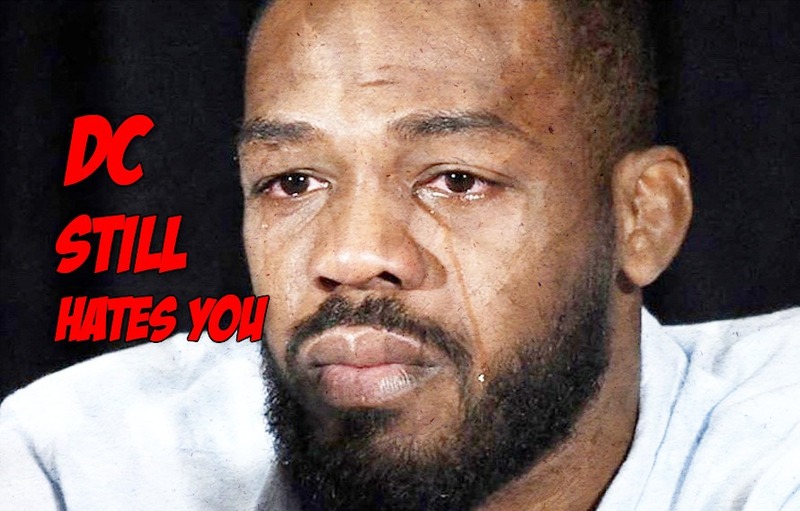 Is the thought of losing to Jones twice just eating at DC’s soul everyday? How jealous is Jon Jones that Daniel Cormier got to be a double champ before him? These guys are the best of the best. They don’t understand second place. Less than 12 hours after Jones invaded his comment section, DC struck back hard. “So here we go again Jonny boy. First off, if you did nothing wrong and were “innocent“ then you’d have never been suspended. You’ve had to stand before these people and arbitrators so many times it’s insane. So you slipped again, how many times can one man slip? I’ve been tested 70 times and I haven’t slipped once. How do you explain that? And on top of all the cheating you’ve done around UFC 182, UFC 200 and UFC 214 that’s not even the straw that broke the camel’s back. You are actually a SNITCH! You think you’re the only one that’s been offered this deal? No, you’re just the only scumbag low enough to take it! Which one of your teammates did you tell on to get this joke of a punishment from USADA! DC just summing it all up on a Friday. All of this doesn’t mean anything unless DC vs. Bones Part 3 happens inside a cage. Maybe with both titles on the line? Hang them above the cage and then lower the belts directly onto the winner’s shoulders? I think we just talked ourselves into seeing this fight again. Next articleA Lesson in Street MMA: Female fight ends in a soccer kick, immediately turns into a massive dance party?